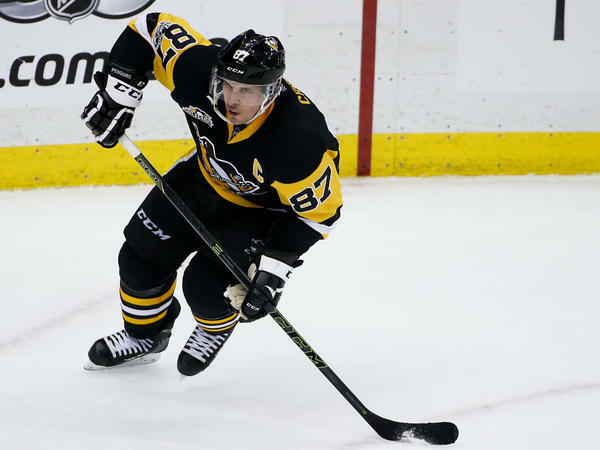 Pittsburgh Penguins' Sidney Crosby skates during a Feb. 2017 game. The Penguins were scheduled to play a preseason game in Belle Vernon, Pa., as part of a contest prize for the town, until the NHL said Wednesday it would relocated the game. 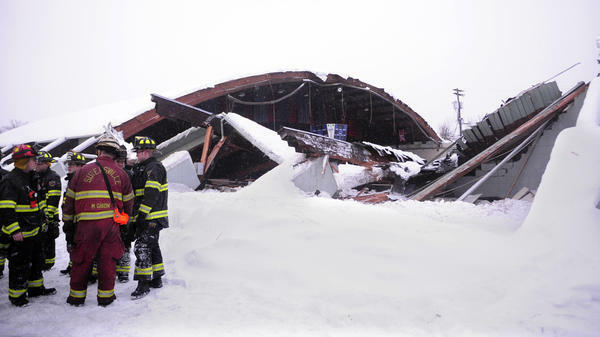 Emergency crews attend to the scene of the partially collapsed roof of the Rostraver Ice Garden on Feb. 14, 2010. It is still a young tradition, but since 2015, Kraft Heinz Co. and the NHL have taken annual submissions from communities across the U.S. — written pleas arguing why their small town's ice rink deserves to be crowned Kraft Hockeyville USA. The honor — which includes $150,000 in money for rink renovations and the opportunity to host an official NHL preseason game — is bestowed upon the community that best demonstrates its passion for hockey. Judges score the first round of submissions according to a careful formula: 23 percent passion for hockey; 23 percent creativity/originality; 23 percent community spirit/pride; 31 percent dedication to supporting hockey. The remaining applicants are whittled down through an online public voting process. Back in April, besting a field of more than 1,300 competing communities, the Rostraver Ice Garden in the small western Pennsylvania borough of Belle Vernon, Pa., took home the grand prize. It would be host to a televised preseason game between the St. Louis Blues and the Pittsburgh Penguins. But Wednesday, the game was relocated to a rink more suitable for official play. The NHL announced the preseason game would now take place September 24 in Cranberry, also in western Pennsylvania, after Kraft Hockeyville USA officials determined the Rostraver Ice Garden was "not equipped at this time" to feature a preseason game. Rostraver Ice Garden owner Jim Murphy told the Pittsburgh Tribune Wednesday, "I'm not going to characterize it a disappointment because of the good relationship I've had with the Penguins and NHL over the years." But, he added, "it would have been a lot nicer for the community if the game were held here." The Rostraver Ice Garden still stood to gain from the national contest, however. In its announcement, the NHL said it will hold four days of activities in Belle Vernon, Pa., leading up to the preseason game, including an audition to find a local singer to perform the national anthem at the September 24 event. The majority of the tickets will be awarded to Belle Vernon residents and youth hockey players who use the rink, who will be offered buses to Cranberry. Perhaps most importantly, the Rostraver Ice Garden will still receive that $150,000 for renovation. After winning the prize in April, the facility said it planned to purchase a compressor, floor matting in the lobby and LED lighting. The Rostraver Ice Garden has certainly faced its share of structural challenges. In 2010, excessive snow caused the roof to collapse. A youth hockey tournament was in progress below, but no one was injured, which the owner Jim Murphy told the Pittsburgh Post-Gazette was a "miracle comparable to the plane on the Hudson River." The NHL's announcement Wednesday noted that this was not the first time in the history of Kraft Hockeyville (which goes back further in Canada) that the organization had felt compelled to relocate, despite the potential for disappointment. "On a few occasions, over the course of the 11-year history of the Kraft Hockeyville program," said Brian Jennings, NHL chief brand officer and executive vice president, "we've had to make the tough decision to hold the NHL preseason game in an alternative rink outside the winning community to ensure an optimal experience for fans and players alike."